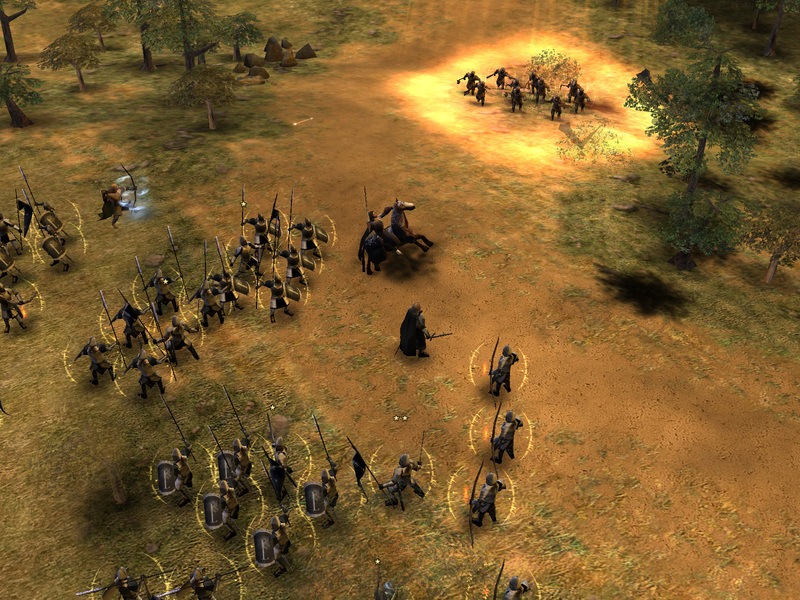 Today's update brings you eight new juicy screenshots in a showcase on two of Gondor's most powerful heroes. Aragorn has been moved over to Gondor, in a new, kingly capacity. 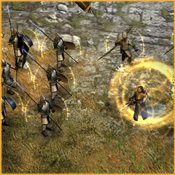 He starts at Level 5 and brings a several new and powerful abilities to the Gondor's player's arsenal. Hands of the King is similar to Athelas, but has a much increased range. 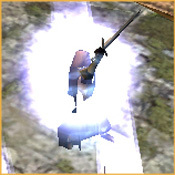 As always, the trusty Blademaster grants a good offensive and defensive boost when needed. 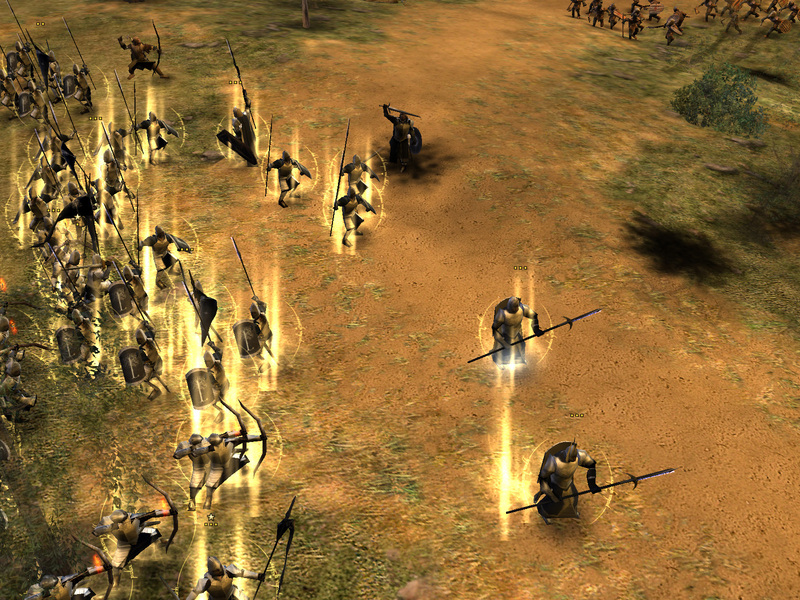 His Leadership provides a hefty bonus to nearby troops' damage and experience gain, making him a good team player. 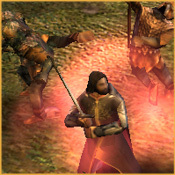 When the King reaches Rank 6, he gains Anduril, the Flame of the West, whose strikes reduce enemy hero armour with every blow. 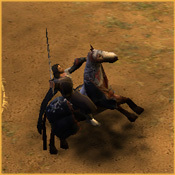 At Rank 7, he mounts his steed, allowing him to ride into battle with Knights of Gondor and Dol Amroth. At Rank 10, he can use his inspiration command of men's hearts to deliver an Oath to Arms. 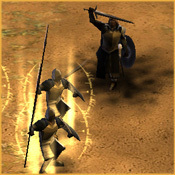 This potent temporary leadership bonus inspires nearby troops to heroic heights, and increases in power when more Gondorian battalions are in the area. 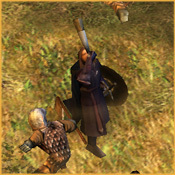 Boromir retains the Horn of Gondor, now available at Rank 3. At Rank 4 he gains his customary Leadership, and Captain of Gondor remains at Rank 6 to fill out his set of vanilla abilities. Two new abilities have been added - at Rank 7 he dons additional amour, increasing defense and health. 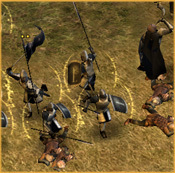 At Rank 10, he gain For Gondor!, an ability that greatly boosts attack and speed of nearby Gondorian infantry. Is Aragorn still in rohan also or is he completely in gondor? Will Rohan get a new hero to replace Aragon? 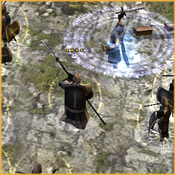 Are the Gondor units that seem to be their own group are a change to the tower guards or a new unit? Plus It's very evil of you to tell us of Dol Amroth Knights but not give pics. Great changes! Just one question. What is the unit in the bottom right hand corner of the third boromir screenshot? A citadel guard, or gondor captain? Rohan's hero list is getting a lot of work, with Aragorn and Legolas both going... elsewhere. 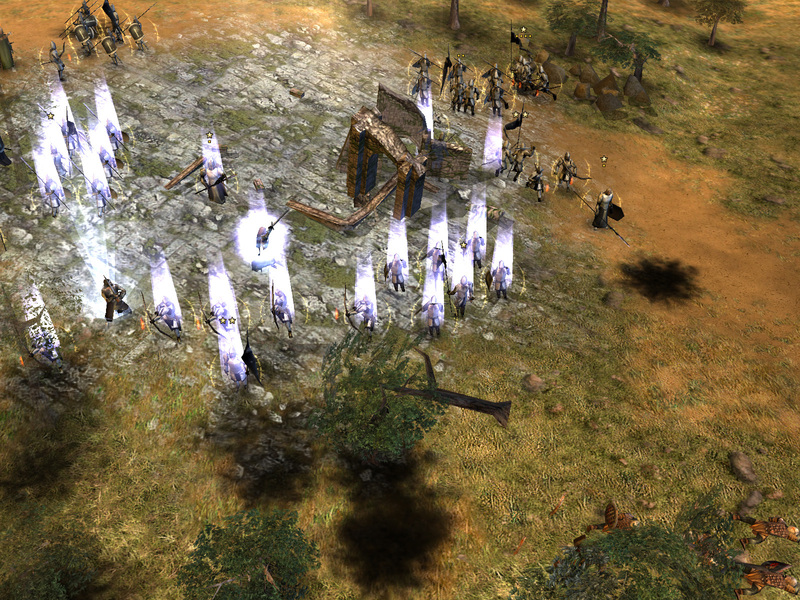 And the other Gondor units will be revealed in time . Rohan is also losing Legolas!? Well, it'd be kind of weird for them to lose both Gimli and Aragorn, but somehow keep Legolas. Don't worry though, he won't disappear from Rohan completely. Nor will the other two. Very nice, I'm glad boromir has got a two new powers, He's pretty useless on the vanila version. The next version is gonna rule. Awesome update! It's just a shame that you don't seem to be giving Boromir the awesome banner-waving animation for his For Gondor! ability. You guys always do the most amazing work! Soo looking forward to this update. The version I have is buggy, jittery and really not useable. As far as I know, the 'good' version disappeared with cahik. Thanks for staying loyal to the mod guys, really means a lot to me . 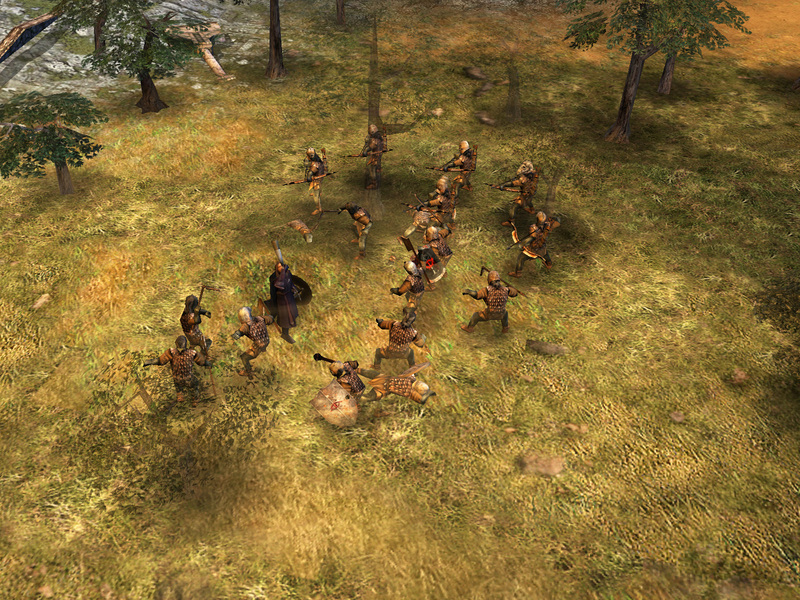 Thank you for Such an amazing mod, I Just played A Skirmish against the Ai On amon hen and The Dwarves Just Kick arse against Rohan. Well, you know what they say... "Tell me your name horse-master, and I will tell you mine"
Hello , I'm new to this forum ! I wish to tell you , that your mod is really astonishing . I like the news powers for both heroes and all the work done for the other factions ! It adds to the replay value of BFME ! thank to make such big mods ! Ahhh! I'm back, many lives of men has past since the old ra mod days, dark has been my dreams of late, but I see many good things happening, keep up the good work guys you have my support once more, the mod is great!!!!!!!!!!!!!!!! I vaguely remember you... That is a long time ago. I wish RandomElf would show up sometime. I am back from middel east job peace for human. I think hero is real ability movie. 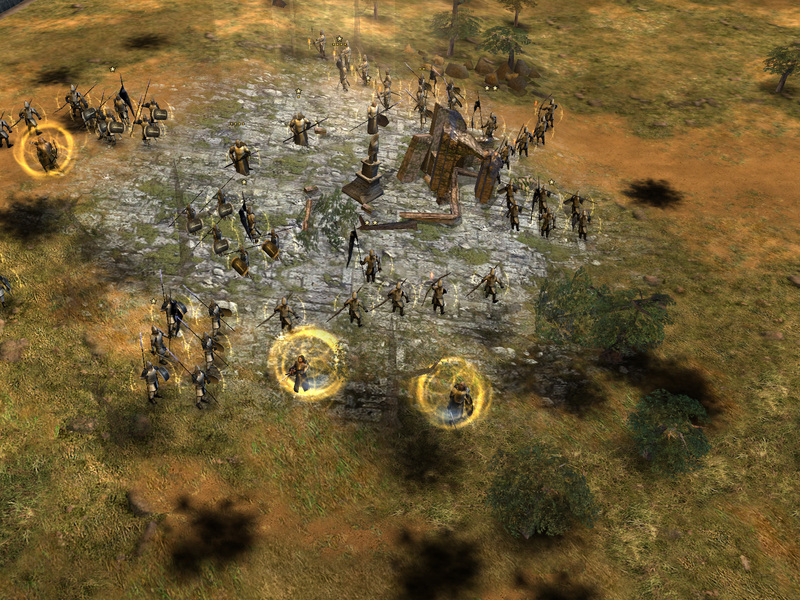 But I see three of Gondor units look like mini hero units I don't know who is. I wait next week reveal units. 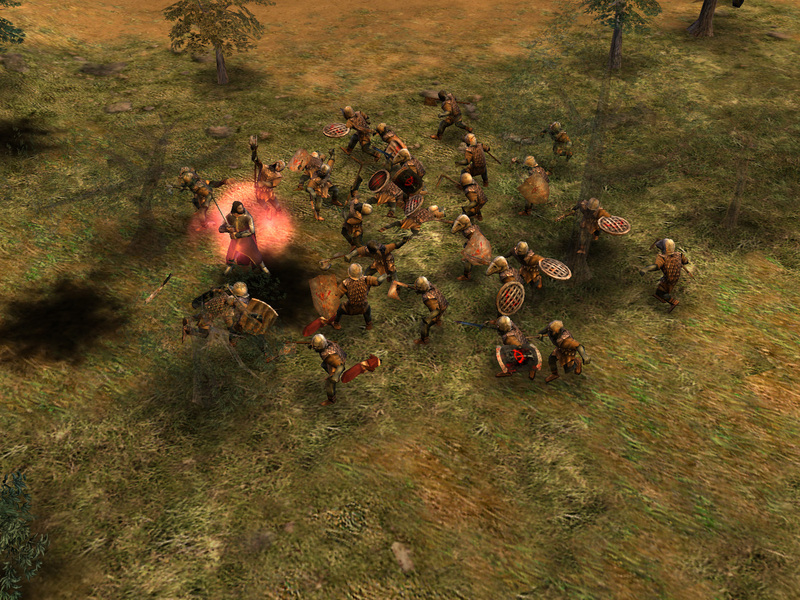 I hope units from old mods. 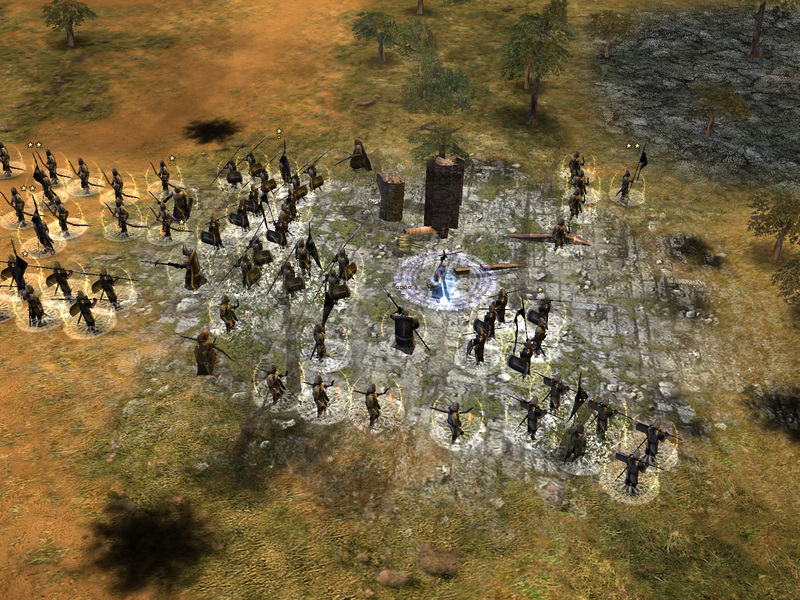 Gondor axemen, Citadel archer and Dol Amroth. 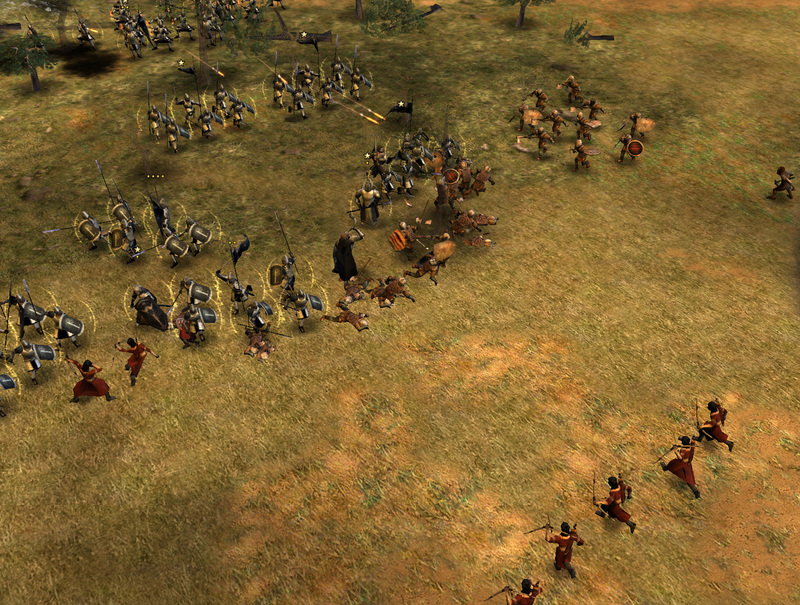 Gondor axemen strong vs moster. Citadel archer be longe bow. Dol Amroth is strong armor and heal. But Merry coming new armor?